Flynn & Aria Roberts have had plenty of ups and downs during their seven year marriage. Everyone warned them not to wed so young – that they’d be missing out on the key years when people grow from young adults to mature individuals. love for each other, and even that is becoming questionable. To save the marriage, and the family they’ve already started, Flynn and Aria come up with an unconventional solution to help them find what’s missing in their relationship. when vows are broken, or will chance encounters prove they’ve been missing out all-along? Review by Kristin M ~ 5 out of 5 stars! Aria and Flynn Roberts were high school sweethearts that got pregnant young and got married young. They were all each other really knew. Flynn came from a family in which his parents were happily married and more in love than ever. Aria’s parents were divorced. Her father had a new family and wasn’t in the picture. Her mother made choices that put a wall up between her and Aria. Aria and Flynn may have grown up together, but they didn’t grow together. Every married couple has choices to make and some times those choices can make or break the marriage. Life throws challenges and it’s how you deal with those challenges (as a couple and as individuals) that can decide your future. Neither of them are perfect and they’ve both made bad decisions individually and as a couple. As I was reading this book I could honestly see this unfolding for just about every married couple I know. Jennifer knows how to write to make you think. She knows how to make you feel. This book has it all! Absolutely amazing! I can’t wait for the next book in this series! 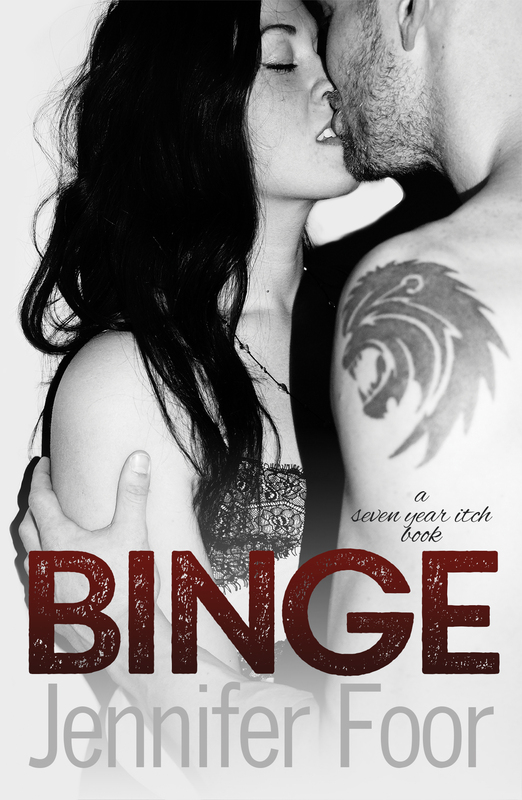 This entry was posted in Blog Tours/Promos, Reviews and tagged 7 year itch, Aria, Author Bella Jewel, Binge, Blog Tour, Flynn, J4, New Release, Review by kmarvin317. Bookmark the permalink.